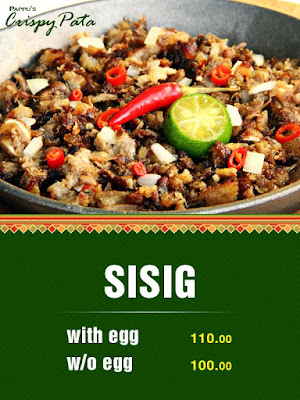 Oh my gulay. 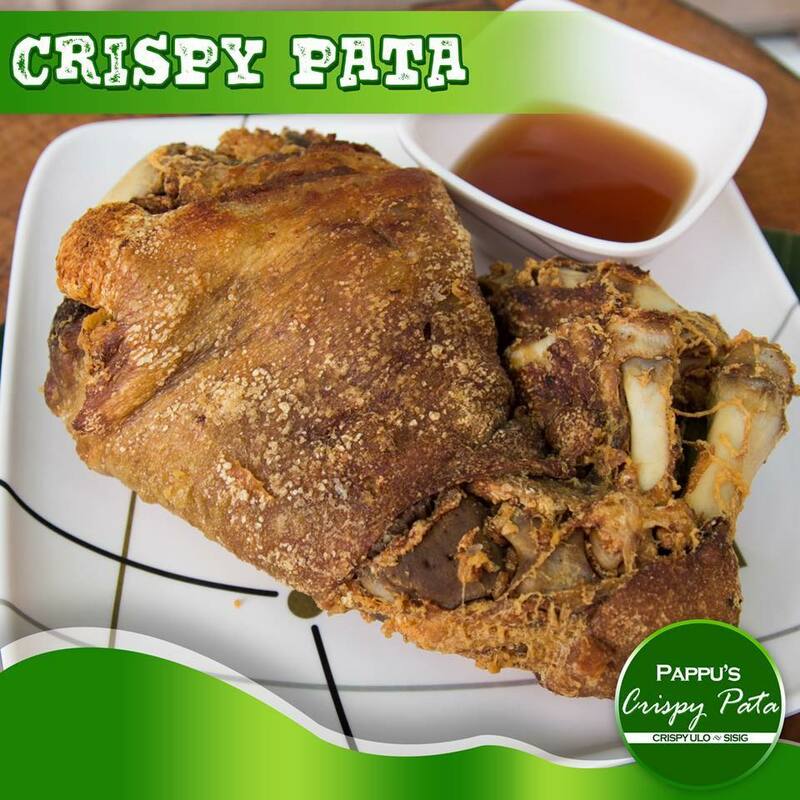 In line with our Media Noche no preparation feast, we chose Pappu's Crispy Pata to adorn our table. 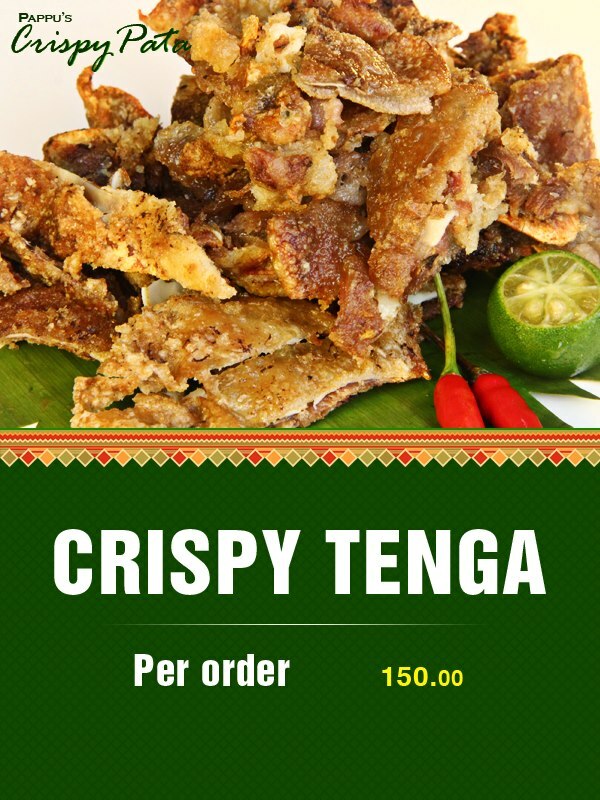 Along the lechon we earlier reviewed, we will review this family favorite dish, the crispy pata. 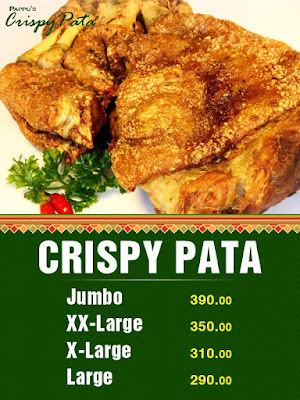 We learned earlier on that this bang for the buck crispy pata is already a franchise. Since we were lazy to prepare our New Year's Eve dinner, we really looked for one near us. 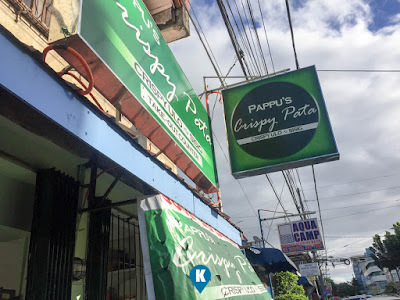 We found one in Pacita so who else would go there and order? That would be this writer. The shop is not along the main highway, but you should use google maps to locate them. Thank god the maps in Facebook was accurate. It lead me there in no time and no miss. I was afraid that being New Year's Eve, they would be out of stock, and as God willed it, this store anticipated the deluge of customers. They have added a huge cooler on top of their pick up truck filled with pata, ulo, sisig and whatever they were selling. I won't be surprised if there are a lot of orders. The price for their Jumbo pata is only.... wait for it.... dary..... sorry wrong show... LOL.... price was just Php390. 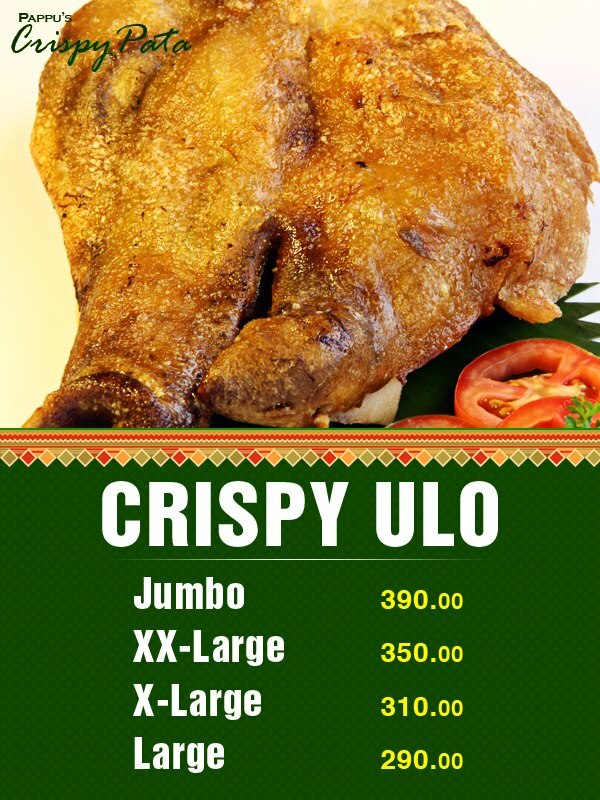 Before we were ordering it off a popular filipino restaurant chain for Php600 for a smaller sized pata. So price was great. check. Now off to the taste, it was nicely marinated and the meat had a tinge of soy sauce and a number of spices. There was sauce provided with our order, actually, we didn't need that anymore as this pata was tasty. Also, I was surprised as this was a franchise already and at that price, I thought the quality would be off . I thought wrong. Taste wise, it was excellent. Serving size was great as well. For my family of 4 overgrown kids with godzilla sized appetites plus me, there were still some left for breakfast. Imagine that. Now lets go to the skin. I know you are wondering if the skin would be crispy. Yes it was. (take note past tense - it was the first that was eaten off). So having the word crispy in their name is true. 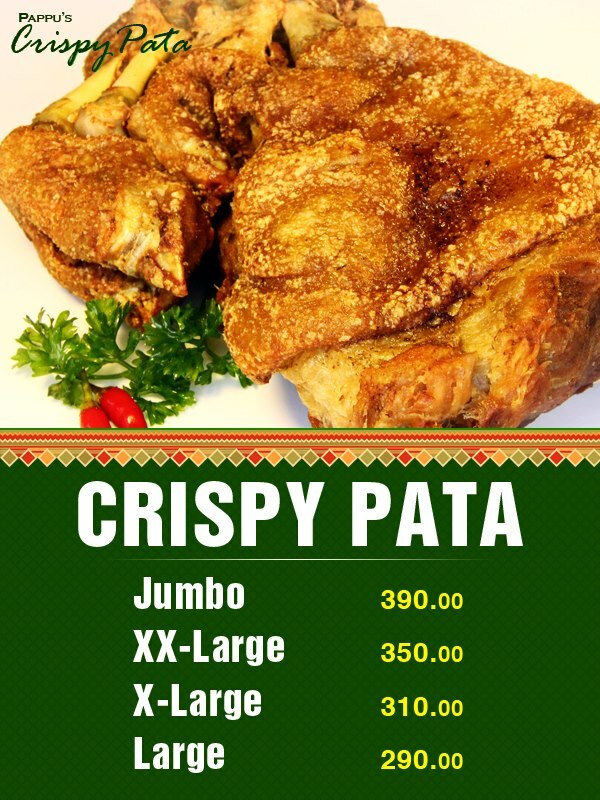 We don't eat crispy pata everyday but when we do so, I know we will be ordering again from Pappu's Crispy Pata. In addition, they have other dishes that we will try in the future. Please see them here. 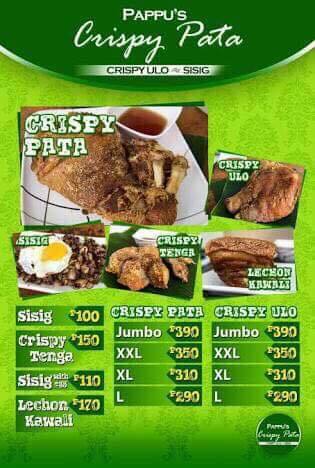 For a branch near you, better visit their facebook page here. For the one we reviewed, you may order here.